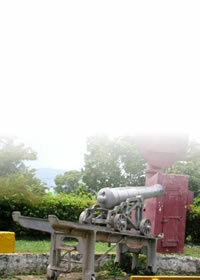 The Papine-Mona Aqueduct is a fine example of civil engineering in 18th Century Jamaica. 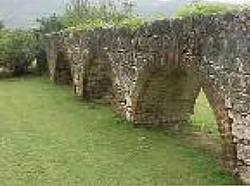 The Aqueduct once served the Mona, Hope, and Papine Estates with water from the Hope River. 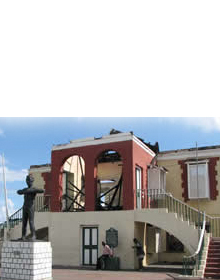 The Aqueduct which served the three estates, terminated at the Mona Wheel house on the Campus of the University of the West Indies. The Papine-Mona Aqueduct was built by Thomas Hope Elleston in 1758. 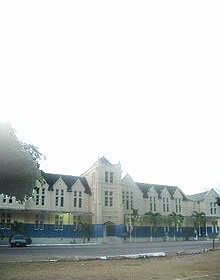 This brick structure can still be seen on the University Campus. The Aqueduct ends at Ring Road and the water was channelled underground to where the Aqueduct recommences just below the Assembly Hall. It ran down to the factory, the ruins of which are behind the University Chapel. The Aqueduct was a part of the Mona Estates which produced up to 1908. This estate was as large as one thousand three hundred and seventy two (1372) acres.